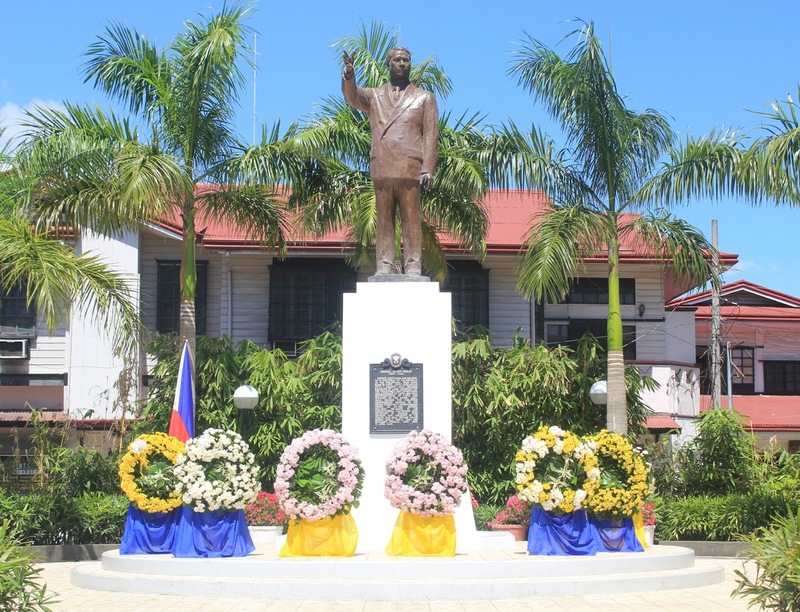 ROXAS CITY - A traditional wreath will be placed on the life-sized Bronze monument of Capiz’s illustrious son, the late President Manuel Acuña Roxas, in the morning of April 15, 2017 at the Roxas City Public Plaza in commemoration of his 69th death anniversary. Family members and relatives of the late President, city and provincial officials are expected to mark their respect to the illustrious son of Capiz. The 10 ft. bronze monument of the late President was unveiled last year, replacing the old statue that was installed about 60 yeasr ago. Roxas, fondly called by his relatives and friends as “Manoling,” was born on January 1, 1892 in the town of Capiz (now Roxas City) to Gerardo Roxas and Rosario Acuña. When young, Manuel A. Roxas already manifested a life-long passion for learning. A product of public schools, he graduated with the highest honors. While he excelled in academics, he was also active in campus politics as President of the University of the Philippines (UP) Student Council. He finished Law at the UP Diliman and became the first bar topnotcher of the Philippines in 1913. Roxas, became the youngest (at 27) and the 6th Governor of Capiz (1919-1921), and in 1920, he was chosen by his peers as president of the governor’s convention. Roxas was elected for four consecutive terms (1922-1938) as Congressman for the first district of Capiz, ten years of which he had served as Speaker of the House of Representatives from 1923-1933 from the 6th to 8th Philippine Legislatures. In 1941, he was elected senator of the 3rd National Assembly during the Commonwealth period, and, at the age of 53 (in 1945), Roxas was elected Senate President and organized the so called ‘liberal’ wing of the Partido Nacionalista, which eventually became the Liberal Party (LP) of the Philippine politics. Roxas became the President of the Philippines on April 23, 1946. In the aftermath of the bloody World War II, and at the birth of a new, free and independent nation, known as the Republic of the Philippines on July 4, 1946, a great Filipino and an exceptional Capizeño named Manuel Acuña Roxas steered this country towards new brave world. The commemoration of the late President death’s anniversary coincides with the 116th foundation day of the civil government of Capiz on April 15, 2017. Roxas died at the Clark Air Base in Angeles, Pampanga hours before delivering impassioned speech championing the cause of liberty, justice and democracy in the country.